This is a great long smoke, one to one and half hours. Will not over power a single malt scotch or a good Kentucky Bourbon. Winner! Just finished a 5-pack. Consistent throughout. Perfect burn! Very solid construction and easy draw, long burn. Delicious. Great flavor but not so great construction. I went through a box of the Balboa Maduros (when they were boxes of 25) and I have both good and bad things to say about this line of cigars. 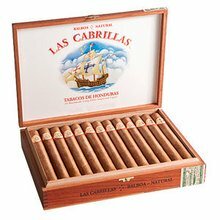 Las Cabrillas are basically just Mexican cigars, even down to the wooden box, that are made in Honduras. I really enjoyed the sweet, smooth San Andres wrapper that complements the robust full flavor of the tobacco. However, a handful of the cigars were plugged. They couldn't even be salvaged. I also pulled LONG stems out of a couple of the cigars. I read that they are working to improve the quality of the cigars but it is hard to give the Balboa a five star review given such bad construction. 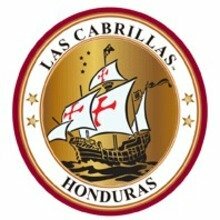 I will buy any Las Cabrillas cigar again as long as the price will allow me to toss a few away. Got a five-pack of these big beauties as a promo a few months ago. I've now enjoyed two of them, and both were just outstanding. The first third was smooth and creamy, but a little fast-burning, so I figured it wouldn't last terribly long despite its length. But after the first inch or two, the burn slowed, and even with two of us sharing the stick, we easily got over an hour and a half of great enjoyment from it. The smooth start progresses to an earthy, medium-bodied smoke, and the construction was very good, evidenced by an even burn and a long ash. It gets slightly spicier in the final third, but those hints of bitterness only appeared as we reached the nub. Really a great cigar when you have the time to kick back and savor a long one. Although I won this, I have a few in humidor. Decent daily stick. Nice draw and alrighty construction. These are the promo sitting in my humidor for one month. So surprised to enjoy the decent smoke from Honduras. Got pleasant notes of creamy hey and woodiness. You can never miss out this long sticks at such a great low price. 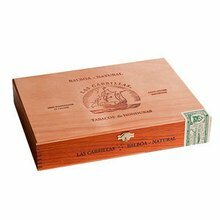 Please note that aging in humidor is very important for the performance of this smoke. Smooth draw. Burns at a nice pace. Enjoyable. Price affordable. Got these as a freebie with some other smokes and am pleasantly surprised. Not a bad smoke and at a decent price. These may be my next daily cigar. I've seen these in the catalog and thought there was no way they could be decent for less than 4 bucks a stick. Well, they came as part of a promo and I must say I'm impressed. A dark and oily wrapper, well constructed. It provided a long smoke with easy draw and clues of heavenly smoke. It was great and I will be purchasing a box. With the demise of Cabanas Carbajal 7x54 Maduro, this my favorite of cigars purchased from you over the past decade. I still have a few of the former left and these are comparable; easily equal to Gurkha Black Dragon. have been smoking cigars for 50 years & recently tried las cabrillas for the first time several days ago.i think the maduro & natural are great. I like this cigar very much. I am impressed with the flavor and construction. My house cigar...all of my guests and friends like it very much. I highly recommend this. Excellent smokes in every way. As I now chew and don't smoke cigars any longer, this review should be taken with a "grain of salt" by afficianados out there. With several thousand cigars in my humidors however I am not really novice. This cigar is tops in taste, and as I've said before in reviews, is equal to Gurka Black Dragon or the now discontinued and much missed Cabanas Carbajal. Mexican tobacco is too mild for my palate. @chad. I hope the person you shared with was your significant other. Otherwise that is just weird. The maduro is a Great Smoke! I've been smoking these as a standby for a year or so now. They have never let me down. A great smoke for the money. Make these part of your repertoire for a nice change of pace. I would buy another box. Great flavor and full bodied but if you buy a box, don't expect complete consistency with the draw. It's also wrapped tightly. I would also suggest a v cut.